MONTEZUMA’S REVENGE | Watts Up With That? God or Satan used to be the default cause for all that is bad or inexplicable. Today we blame “climate change”. Thousands of earnest researchers now gain their daily carbon (dioxide) credits by scaring the pants or pantaloons off the rest of us. Generously funded by governments, they compete for the title of Climate Savior of the Year. The result: a proliferation of nasty scenarios masquerading as predictions. Many claim they can reinterpret the past with astonishing precision too. According to a new case study, European colonization of Middle and South America intensified Europe’s Little Ice Age. Who would have thought the ghost of Montezuma could reach across the years and take revenge for the Great Dying inflicted on his people? In our post-truth age, dear reader, facts are the servants of fiction. Folk frolicking on a frozen Thames in 1537, 1565, 1595, 1608, 1621, 1635, 1649, 1655, 1663, 1666, 1677, etc., would have been knocked off their skates had they known this tale of atmospheric retribution. Montezuma, n., 1. Motecuhzoma Xocoyotzin, the ninth tlatoani or ruler of Tenochtitlan (Mexico City), capital of the Aztec civilization; reigned 1502 to 1520. 2. Montezuma’s revenge: informal; diarrhea (spelled in America as diarrhea) contracted by tourists and academicians who indulge in too much speculation, especially about foreign countries. 3. An early computer game; the player controlling a character called Panama Joe (aka Pedro). Objective: to score points by stealing jewels, killing enemies (Aztecs) and getting out of a pyramid alive. But to begin at the beginning. A decade ago, I co-authored a paper on ancient Mesoamerica, “Re-interpreting Codex Cihuacoatl: New Evidence for Climate Change Mitigation by Human Sacrifice”. A summary of it appeared in the June 2009 edition of the Australian Quadrant magazine as The Aztec Solution. Inspired by physicist Alan Sokal’s spoof 1996 article, “Transgressing the Boundaries: Towards a Transformative Hermeneutics of Quantum Gravity”, our paper identified a new relationship with important implications for global warming mitigation. Data from an analysis of the Codex Cihuacoatl revealed a strong causal link between climate change and the Aztec rituals of “nourishing the gods” with blood sacrifice. It was a controversial finding. Nevertheless, taking the bull by the tail, we concluded that humane human sacrifice (HHS) would slow environmental degradation, reduce dangerous climate change and improve crop yields. We argued HHS would allow more control of surface temperature and rainfall; and create anthropogenic biochar for soil enhancement and long-term carbon enrichment, especially in tropical environments with low-carbon sequestration capacity and depleted ferrasol and acrisol zones. Crucially, population growth rates would be retarded, just as Gaia’s carrying capacity comes under more pressure this century. Aztec culture has attracted scrutiny from many scholars since Spaniard Hernan Cortés and his conquistadores entered King Montezuma’s palace in the lagoon city of Tenochtitlan on 8 November 1519, triggering destruction of an entire civilization in only two years. What were the climate implications of Aztec rituals? Did they influence local and regional temperatures? Did they affect crop yields in a way hitherto unknown to science? And what of the 1952 discovery of mammoth skeletons in the Valley of Mexico? What happened to the climate after the Spanish conquest? Research was sparse for three reasons. Firstly, cultural sensitivities and entrenched superstition discouraged study of the rationale for Aztec human sacrifice. Secondly, there was a lack of evidence. While pictorial codices on Aztec social and religious life have been known for some time, it took the sensational discovery of new material from the Codex Cihuacoatl (circa 1520) to revive interest. Thirdly, the United Nations World Climate Research Program – in particular its Climate Variability and Predictability (CLIVAR) model – had only just developed the capacity to, allegedly, “simulate and project climate with unprecedented accuracy”. There was also no money to waste on projects at the sillier end of the spectrum, at least not until the UN Intergovernmental Panel on Climate Change (IPCC) decreed ex cathedra humankind had a significant influence on global climate. Computer “experiments” may be comparable to playing roulette on a rigged table, but that no longer worried the orthodoxy. Monetizing the climate was just too important an objective to be abandoned due to a lack of empirical validation. Increased atmospheric carbon dioxide (CO2) soon emerged as the dominant forcing agent for global warming (IPCC, 2007, p. 136), with the main contributor of human CO2 emissions being fossil fuel combustion (IPCC, 2007, p. 512). Anyway, having acquired a lucrative grant we reviewed the new Codex evidence with particular reference to Aztec cosmology, the sacred tonalamatl (divinatory) calendar and sacrificial rituals. Several important implications for global warming mitigation emerged, which are discussed in our paper. We recognized, of course, that some opposition to human sacrifice as a mitigation strategy was possible. For the truth is that when push comes to shove off, few have the stomach for a rite more gruesome than harikari, even in the interest of future generations. Nevertheless, we felt society was on the cusp of a paradigm shift. Excessive individualism was in decline. Eco-left lunacy was becoming mere flatulence in a mighty wind of change. 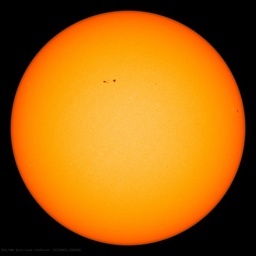 There was growing recognition too that humankind’s fate is determined by momentous events related to the Sun (Sol)—333,000 times more massive than Earth and just eight light-minutes away. The Age of Sol seem to be dawning. With regard to Australia, we urged the government to give generous grants to HHS dependents, issue free (securitized) sacrificial credits to working families, create a new Order of the Bleeding Heart, and rebadge carbon emissions trading as the Human Pollution Reduction Scheme. For such initiatives would send a strong message to everyone—especially to all Cihuacoatl sceptics, Huitzilopochtli deniers and RE poopers—that this country is serious about climate change. If, dear reader, you can suspend disbelief and accept that one can peer into the past, detect miniscule variations in air temperature and atmospheric carbon dioxide – currently 414ppm – and derive dodgy causal conclusions, you will salivate over this – not a spoof – study. Human impacts prior to the Industrial Revolution are not well constrained. We investigate whether the decline in global atmospheric CO2 concentration by 7–10 ppm in the late 1500s and early 1600s which globally lowered surface air temperatures by 0.15∘C, were generated by natural forcing or were a result of the large-scale depopulation of the Americas after European arrival, subsequent land use change and secondary succession….. We show that the global carbon budget of the 1500s cannot be balanced until large-scale vegetation regeneration in the Americas is included. The Great Dying of the Indigenous Peoples of the Americas resulted in a human-driven global impact on the Earth System in the two centuries prior to the Industrial Revolution. Maslin is an expert in past global and regional climatic change. He has published over 165 papers. A man with a mission, he was science advisor to the Global Cool Foundation, at least until its charity status was removed for some reason on 14 June last year. GCF’s cool objectives were: (i) to conserve the natural environment by promoting greenhouse gas reduction; (ii) to promote and carry out for the public benefit research into the effects of climate change, and to publish and widely disseminate the useful results of such research. Launched in 2006 by Orlando Bloom of Pirates of the Caribbean fame, GCF’s mission was “to raise awareness of climate change”. Tony Blair endorsed it at the 10 Downing Street launch party. The group worked with other cool celebrities – including UN climate ambassador, Leonardo DiCaprio – to promote radical “green behaviors such as using public transport and taking flight-free holidays”, the latter presumably including leaving one’s private jet on the tarmac at least one day a week. We looked in vain for a reference to our earlier work in the QSR paper. Did Maslin et al. reverse-engineer our Aztec Solution to come up with a regional phenomenon of greater scale and impact, with their Great Dying replacing ritual indigenous sacrifice? If so, it was a very clever move, one that deserves all the accolades bestowed upon it by the Academy. “You have this horrendous genocide in the Americas, which allows a huge amount of regrowth. There is a clear causal link between the loss of people, agriculture growing back and the hard winters in Europe”, Maslin told Tom Whipple, science editor at The Times, on 1st February. The Maslin et al. argument: with most of the population wiped out by conquest and colonization, there was rapid reforestation. It sucked carbon dioxide out of the atmosphere and caused cooling. The problem with this hypothesis is that the Mini Ice Age was already well underway in Europe. It caused, for example, the Vikings to leave Greenland because it was no longer green. By the early 15th century their colonies were gone, driven out by crop failure and increasingly harsh winters. From 1410 to the 1720s it was largely cut off by ice. The Mini Ice Age continued until 1850 AD. But one must not allow inconvenient facts to ruin a good storyline. After all, such tricks of the trade abound in post-normal climate science. Other researchers suggest “natural processes” best explain the European cooling, especially decreasing solar activity, and perhaps increasing volcanic eruptions. Assume the models do not describe reality with the accuracy required to be meaningful, then presumably the maths do not work so well, and so on and so forth. A thought occurred to me a long time ago. Previous to the current inter glacial period we are now enjoying what would have the climate been for these cities that we see that are now covered in jungle in South and Central America. I’m not suggesting that the ruins that are there now are older that 11,000 years, just that if the climate was such that human habitation in the area was well established due to a favorable climate it might explain why we see them there. Anyway, just a random thought. Very random, I would say. The glacial periods mainly affect higher latitudes. Near tropical and tropical areas have far less cooling during glacial periods. Keep in mind that it is the tilt variation of the Earth that causes most of the glacial periods. Wonderful! At last some humour. Haha, I love it. Should have a wider audience. Mr. Kile: “Research was sparse for three reasons…Secondly there was a lack of evidence.” Perfect! Evidence can be invented or constructed to fill this gap, say graph one data set onto another and presto chango, you’re in! The abandoned great works of the pre-Columbus civilization are testimony to two events, introduction of germs without time to adapt, and Iron Age meets Stone Age. Try to imagine the difference between one side with firearms and the other with bows and arrows (and using the arrows with a pinch grip and not the three finger grip!). Or at least signal your superior virtues to the damned. Also with neever-ending calls for more peoples’ money via government. Michael, are you psychic or Watt? This on the day when 44 US Demoncrats voted for child sacrifice? But then we “must” reduce the world’s population to appease Gaia. Glad I am on the right side of 70. Don’t go near the NHS (Britain)! Personally, I think the Illuminati just paid off the Dems to “throw” the 2020 election. Only explantation! The Warmistas claim they can interpret the future with astonishing precision too. There is no doubt that the current state of climate politics and pronouncements by the IPPC, various Gov’ts, academia and media are now a type of Montezuma’s revenge. It has tuned into a torrent of diarrhea as evidenced by the likes of the immature Democratic Party currently being hijacked by AOC and her ilk. But it is also much larger than this, being a global religion now and taking on a life of its own. Mainly for control of the population through taxation for vast revenues and limiting access to reliable energy but in reality a new type of socialism/Marxism to control every aspect of our lives through Gov’t decree. Politicians and bureaucrats love this because it is an eternal source of revenue and power over the masses, just like the High Priests of the old world who loved to control and sacrifice its victims. Same story, (the climate gods) but just a new scapegoat called CO2. And we are going to pay for this evil unless we wrestle it into the ground right now. Let us just remain hopeful that the few remaining adult Democrats (Biden, Feinstein) will be able to rein in AOC and her Children’s Crusade before too much harm is done. It might be better for everyone if they don’t rein in AOC. Hillary was Donald Trump’s main asset last time, maybe AOC will be next time. The debate with both of them on the same floor, is something I would have to watch. A master stroke of wit but a minor correction. Orlando Bloom is better known as an Elf than a Pirate. That rather depend on which nerd group one belongs to. ” Thousands of earnest researchers now gain their daily carbon (dioxide) credits by scaring the pants or pantaloons off the rest of us.” — Article. Well, they haven’t scared me yet. Not so far. And I do have a couple of nice cast-iron skillets in the house. I politely suggest that if human sacrifice is going to be a part and parcel of this new faux religion, then the True Believers should set the examples for their followers. Volunteers are always more impressive than being swiped by press gangs, you know. Sunday pro football is losing its audience. Maybe the stadia could be used for these rituals? Really, this is almost a plot line for a Star Trek episode where Kirk interferes, as usual, and gets away with it. I almost choked when I saw that acronym in the article. Too close to reality. That explains the NHS Life Pathway. Think of how much energy could be saved if everyone evacuated their vowels and wrote consonantally online. What we need is a God of Climate Change. We could then interpret extreme weather events in the same way as the Etruscans interpreted thunder and lightning. Then the term “Climate denier” becomes an appropriate term for people who do not believe in the God of Climate Change. We should come up with an official name for the God of Climate Change. Would goddess named Gaia do you instead Walt D? The along came Prometheus with the gift of fire for the mere mortals! By the Greek classical times this was already an ancient imperative. Uncanny and odd that fire is to be taken away , again? Pay homage to him, or get gored. Fast to type and easy for all to spell, and that includes dyslexics. J. R. “Bob” Dobbs perhaps? There is a religion that worships a deity called Bob. IIRC, He was the God of salesmen. Seems an apt God for rent-seekers. Is there a God for politicians? Oh Wait, that’s money isn’t it. Why not call him/her/it GOCC. Could we use Herbie(the Dune guy) for that? Would any other authors who have been promoted to the universe design section be better candidate(s)? I love this connotation between bowels and vowels. Now, reading many of the MSM articles these days I will have the vision of the author sitting on the computer rather than the loo, suffering from what my mother used to call “ The collywobbles”. I spent some time studying the Mayan ruins and it is pretty amazing how fast the jungle reclaimed their cities. If you drive around Guatemala for example you’ll sometimes see some heavily forested hills in the distance; but they aren’t hills, they are Mayan structures completely covered by jungle and not yet excavated. You learn something new every day. Never a user of the word ‘maths’, I learned to my surprise that it is singular. Here I always thought that ‘maths’ are plural. The argument in a dictionary is that mathematics can’t be counted, therefore it is to be treated as singular. The new word ‘maths’ (which my spellchecker, in obvious error, doesn’t consider to be a word) is therefore also singular. I still argue that ‘maths’, which can indeed be counted, are plural. There is Boolean math, digital math, octal math, and many, many more. As a group, these maths are plural. That’s at least in my ancient opinion. Don’t forget Jeremy Bentham’s Hedonistic Calculus, the kind of maths favored by economy crashers. Unfortunately the practice of sacrificing female virgins on the top of pyramids – and sometimes male virgins – is no longer practical. There are insufficient virgins. Those from Lancashire are well aware that the “Liver Birds” on top of the Royal Liver Building in Liverpool turn around when they see a female virgin over the age of 16. At no time over the last century have they been seen to turn around. QED. See https://en.wikipedia.org/wiki/Liver_bird#/media/File:Liver_Bird.jpg for a photo of a Liver Bird. They are tied down to prevent them flying away during one of the equinoctial gales which sweep that benighted city, or perhaps to stop them turning around and causing public consternation at the possibility that a female virgin over the age of 16 really exists in Lancashire. Yes, but they don’t have to be free-range, do they, you could keep them in a cage. AOC already said it’s cool to do that. Obviously, a follower of the classic “A Modest Proposal” by Jonathan Swift. If Al Gore and crew start stocking up on flint knives, find some other place to be. The Aztecs were dying out long before Columbus arrived. The Aztecs represented the end of the Indian world. Well spotted. Plants thrive on blood ‘n bone so cadaver management will be key to demonstrating material benefit. The Green-Dream’s apocalyptic message of impending carbon-doom will create a flood of extremely depressed people (especially the very young) who’ll be in the right frame of mind to give it all a miss. HHS, or, eugenics by any other name, is still killing people who aren’t “elite”. The loss of 60 million people cooled the earth. Then the addition of 6 billion people in the last 150 years must be what warmed the earth. Thus the solution to global warming is to get rid of 6 billion people. Thus the need for human sacrifice. 6 out of every 7 people must go. Zyklon B anyone? Montezumas’ revenge ? I thought that was from too much San Miguel Green ! It’s a close argument whether Montezuma or the climate scientists are suffering the worst case of the Squits. Quel triggering! Michael Kile has excluded the inclusive pronouns for gender-fluid persons! He has beenoffensive! The worst sin of all in this new world of snowflakismistics. Let me correct the problem: greater love hath no person than this: that he or she or zie or sie or ey or ve or tey or e or xe or zie lay down his or her or zir or hir or eir or vis or tem or eir (again) or xyr or hir life…. And just to brighten your day comes this gem from the British propaganda machine. I guess Griff would be delighted, where is he when we need him? ie. non existent ships for a non existent problem.. The Earth cools after volcanoes erupt. Now some researchers now think we should mimic those effects to reduce global warming. What could possibly go wrong? Al Gore, has described solar geoengineering as “insane” and accused the scientists involved of “hubris”. Tim Smedley is a “sustainability” writer – the title says it all eh? Give credit where it is due. Gore is absolutely right to call out solar geo-engineering (strange term really) as insane and the scientists who call for it really are dangerously mad. Nice to know he can get something right. The Greenland cooling prior to 1492 illustrates how anthropogenic climate change can anticipate the changes to be wrought elsewhere at a later date. Al Gore presciently pointed this out using the Vostok ice cores, how temperature went up in anticipation of increases in CO2. Wait a minute! Check your calendar. It is not the first of April! I protest the premature release of this post. Hurrrumph!